Video marketing. It’s all the buzz in the marketing world right now, and rightfully so. Have you seen the statistics? As we begin to build a video culture within our companies, it’s important to understand these reasons why. At The Sales Lion, many of our clients will produce video content as at least half of their overall content moving forward, but we know that’s easier said than done! With the addition of some basic equipment, hiring or placement of vital team members, and an editorial calendar to lead the way, you could begin making great video content at your organization immediately. It’s important to make video marketing a priority and get your team (including leadership) on board from the beginning. This will be a team effort and your videos can not be simply a “bolt on” to what you are already doing. It needs to flow through everything you do when marketing your company -- as a part of your culture. Start by filming simple short videos to use on social media. With the addition of stories to Facebook and Instagram, your team can casually learn how to be on camera for seconds at a time. Doing this has many benefits. For example, when an employee is a part of a company video, they usually feel a sense of “ownership” about the company brand. On screen, they become representatives of the organization, a public figure people associate with it. Even though many employees are nervous on camera at first, once they learn how, they not only often start to enjoy it and feel an extreme sense of accomplishment. Each company is going to have a different budget level, however, this shouldn’t be seen as a hurdle between you and success. There are many companies killing it with video marketing while simply shooting with an iPhone or Android device. At the same time, by acquiring even the most basic camera and lighting equipment, you can make the jump to really professional video content. Using a resource like B&H Photo, you can easily compare different equipment by price, rating, features, etc. Setting up a space for video shoots is likely less expensive than what you may think, in fact, a quiet space by a window with natural light may be all you need. With that said, if you have a spare office or conference room, talk to your team about converting it into the video marketing studio. Collect any existing video equipment together, get it set up, and you’re ready to go. If you don’t have equipment yet, consider purchasing a backdrop system and some basic lights to eliminate shadows and light spills. Having a space ready to go makes it easy to be creative in the moment and removes the hurdle of setup time. Once you have your office studio setup, you’ll need a captain to steer the video ship. Whether you hire a new videographer or assign existing team members, you’ll need someone who has experience in production and editing those new shiny videos you create. If you’re hiring a new staff member, you’ll need to identify personal and creative traits, as well as technical abilities. If you’re unsure about this, use this simple guide about how to hire an in-house videographer. Most basic video shooting, editing, and publishing techniques can be learned using YouTube and a dedication to perfecting techniques along the way. If you want to dig deeper, a Lynda.com subscription or subscription to the Wistia Learning Center will be the educational tools of choice. Additionally, search for your specific camera, mic, or lighting models to get more specific training videos. Once you’ve assembled your video composition talent, they’ll need to work tightly with the content manager or content production team to weave the video marketing into the overall content strategy. In most cases, the content manager and videographer will touch base many times throughout the creation process, and keep each other accountable to create this video content. One of the biggest hurdles of creating video content is simply adding it to your editorial calendar. What you schedule is important and what is important gets done. Schedule a brainstorm of the most asked questions your sales team receives. Those questions should be turned into videos your sales team can use to save time and close deals quicker in the future. Look at your “Big 5” and align your video content with this search philosophy. Start with the basics and then work your way out to the more niche topics. Start with the best of the best. Take a look at your content that has performed well in the past or even a competitor’s content that seems to be resonating well within your community. Use this as a guide to create videos and examine ways to make them even better. Until you find your groove in video, consider this one very important tip: While you can always redo a take, avoid stopping one. You may struggle at first but this is an important step in learning to be on camera. Many may not be a “one take wonder” but you can always cut pieces of footage together. Once you begin shooting a segment, go from start to finish, as many times as it takes until feel like you have the best footage. Over time, you’ll find that you become better at communicating to a camera, and realize that it’s simply having a conversation. Practice makes perfect. Get some ideas together, make a plan, and start shooting. If it’s not good, don’t publish it. If it’s good but not perfect, publish it anyways. Rinse and repeat. After all, do you remember the first blog post you ever wrote? It probably wasn’t awesome. It may have had great elements, but some areas needed work. As time went on, though, you got more proficient. The same process will take place with video marketing. 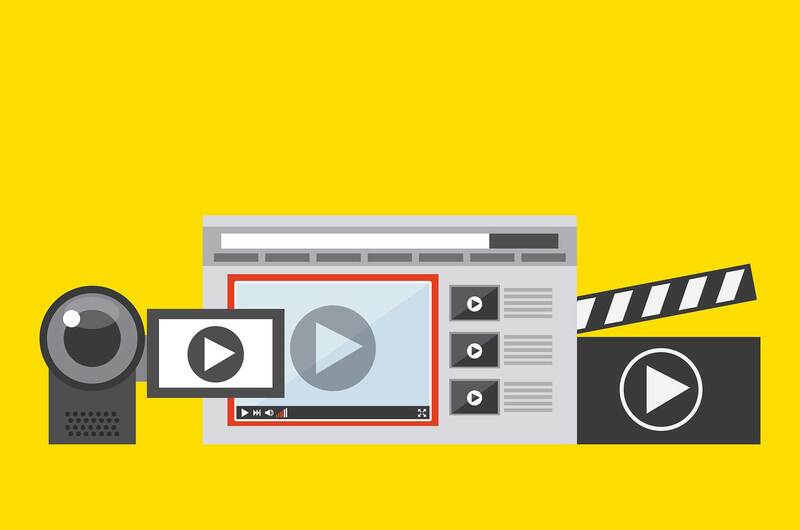 If you’re ready to take this whole video marketing thing to the next level, consider a video workshop from The Sales Lion. We specialize in assisting companies create a culture of video, and produce awesome marketing videos.